From the adventurous hiking trails to the phenomenal skiing, Holiday Inn Club Vacations Smoky Mountain Resort offers a getaway unlike any other. SellMyTimeshareNow.com hosts a number of timeshare resales and rentals in our inventory right now at up to 70% off what the developer is asking for. At Holiday Inn Club Vacations Smoky Mountain Resort, you are only moments away from the entrance to the Great Smoky Mountains National Park. This gateway into the great outdoors is perfect for family outings and trips with friends that combines the “roughin’ it" atmosphere while providing a relaxing vacation home to comeback to every night. Take the kids out for a great day at Ober Gatlinburg, a year-round amusement park complete with a ski resort located moments away from Smoky Mountain Resort. Entertain yourself with wonderful nearby attractions such as The Hard Rock Cafe and the Ripley’s Aquarium, or treat yourself to the fine dining and great shopping centers in downtown Gatlinburg. 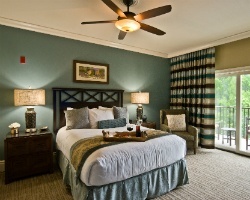 Stay in a lodge-inspired one- or two-bedroom villa with a truly soothing atmosphere. Everything from the beautifully crafted wood furnishings to the stone-built fireplace offers an aesthetic that brings you at one with your natural surroundings. Enjoy special amenities such as the private balcony or patio, well-appointed living room/dining room areas, and unbelievable views of the Gatlinburg mountainside. That dream vacation is so close; it’s all waiting for you at Holiday Inn Club Vacations Smoky Mountain Resort. So don’t wait! Fill out the form on the right for more information or call us today at 1-877-815-4227 to find your next Gatlinburg home-away-from-home today! 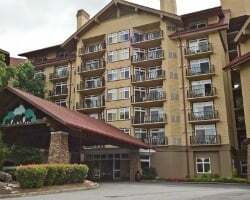 When you purchase a Holiday Inn Smoky Mountain Resort timeshare on the secondary market, it means that you are purchasing an ownership for-sale-by-owner. 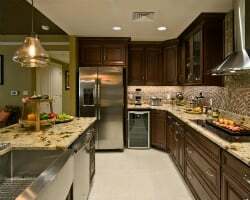 Owners advertise their timeshares for the fair market value of the property, which means you could save up to 70% off the retail price, by avoiding hidden fees typically tacked on by the developer. Holiday Inn Club Vacations Smoky Mountain timeshare ownership comes in the form of deeded fixed or floating weeks. Floating week owners can choose their timeshare week in any season, providing optimal vacation flexibility. 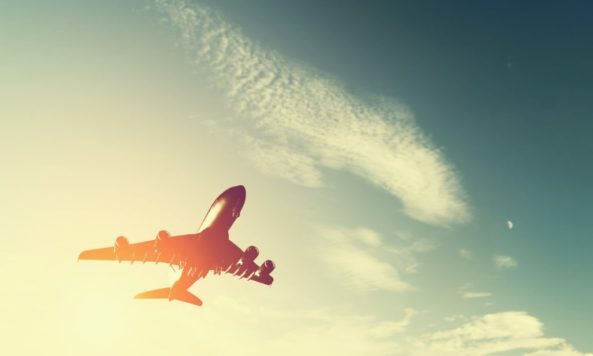 Depending on which week you choose, owners can vacation annually or biennially. Smoky Mountain Resort is a Holiday Inn Club Vacations affiliated property, and timeshare resale owners of this property receive some convenient perks. Smoky Mountain Resort owners are eligible to receive Holiday Inn Club points that can be transferred through secondary ownership. You can use points to book more flexible vacation schedules for you and your family. Club Points can be automatically saved for the following year one time only. Points-based ownership also works towards booking one-time vacations with RCI. One of the best perks of Holiday Inn Club Vacations Smoky Mountain Resort ownership is the ability to purchase a membership to RCI. RCI is the largest external timeshare exchange company in the industry, and when you submit your Holiday Inn Smoky Mountain Resort timeshare week into the exchange pool, you can access over 5,000 resorts in countries all over the world. Because of Holiday Inn Club Vacations Gatlinburg Smoky Mountain Resort’s high demand, the exchange company has deemed the property an RCI Gold Crown Rated resort. Enjoy all the luxurious amenities that come with Holiday Inn Club Vacations Smoky Mountain timeshare ownership. The resort features indoor and outdoor pools, whirlpools, a fitness center, a full menu of spa services, a billiards room, and much more. With a great location in the heart of Gatlinburg, you’ll be close to some of the best attractions in the Pigeon Forge area such as Dollywood, Ripley’s Aquarium, and a number of theaters and amazing restaurants. Looking to spend you vacation outdoors? Enjoy more than 800 miles of hiking and horseback riding trails. Lakes and streams are around for fishermen and women of all skill sets and guests can also embark on a white water rafting adventure. You’ll never experience a breath of fresh air quite like at Holiday Inn Club Vacations Smoky Mountain Resort. 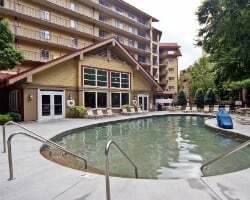 Already Own at Holiday Inn Club Vacations Smoky Mountain Resort?